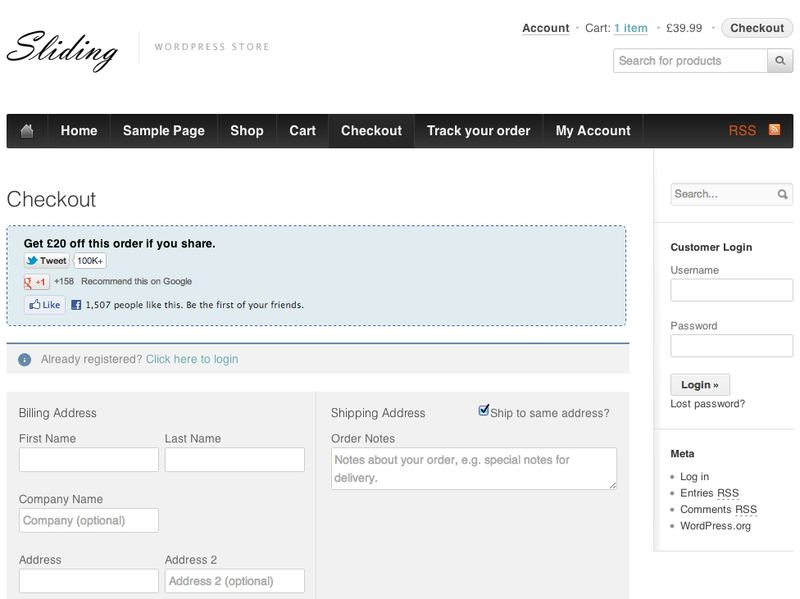 If the customer likes or shares your link a coupon is automatically applied to their cart. Enable/Disable the social networks you would like to use. 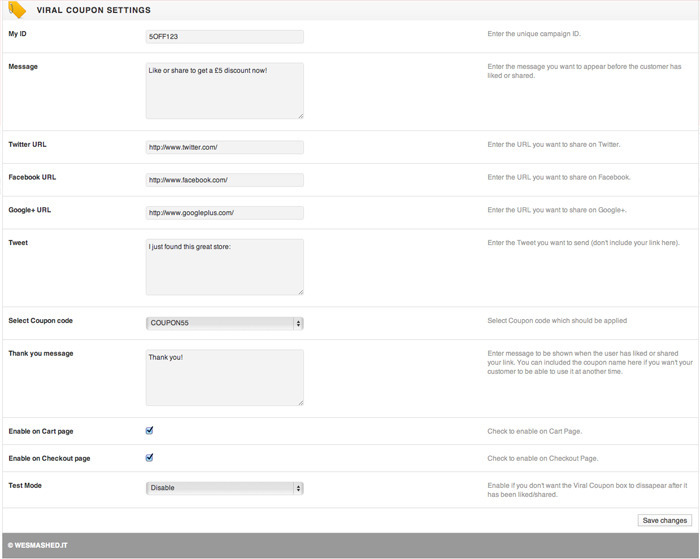 Get started in seconds with the easy to use options interface. 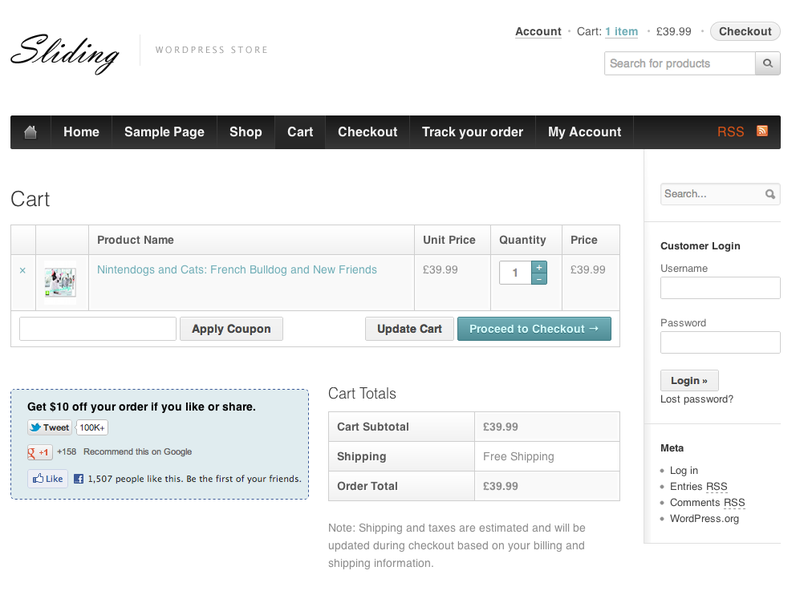 Messages, links, tweets, coupon codes, page integration and more are all configured with ease. All our plugins come with thorough video and text documentation. Our plugins are W3C validated and tested in multiple browsers to make sure that your plugin always works great despite which browser your visitors are using. If you have any problems with our plugin please send us a message right away so we can help you out. Use the link below to go to our dedicated support site.